HIMSS Chief Clinical Officer and Public Health England Senior Advisor Charles Alessi looks at England's approach to pioneering predictive prevention. The digital evolution of care that health systems are going through is also being felt in public health systems globally. Public health encompasses different functions depending on the jurisdiction, but in essence tends to have the national remit protecting the public’s health from infectious diseases and other health hazards. It also tends to have other roles, providing the national infrastructure for health protection including surveillance, epidemiology and emergency preparedness. In most geographies, it is also responsible for population measures around wellbeing and the promotion of good health as well as reducing health inequalities. Similar to other fields in medicine, public health is trying to embrace digital transformation and in some places, has started to encompass the more personalized approaches that health and care services are attempting to deploy. In addition, modern 21st century public health is developing its own “direct to consumer” tools, where digital is fast becoming part of the core offering. As one would expect, these changes are accelerating, although by no means ubiquitous in all systems. An example of where the new world is starting to take shape into a coherent offering is in England. 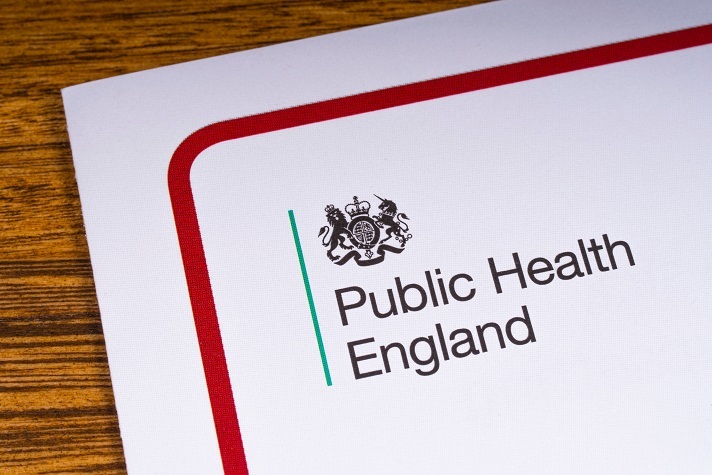 Public Health England is an executive agency of the Department of Health and Social Care within Government, and a distinct organisation with operational autonomy. It provides government, local government, the National Health Service, Parliament, industry and the public with evidence-based professional, scientific expertise and support. Predictive prevention is the pioneering work Public Health England is engaged in. The confluence between personalised digital technology and behavioural modification science is the basis of the approach to further advance the promotion of wellbeing and prevention of illness. The ambition is to engage the public, including those who hitherto have been hardest to reach, in a personalised ongoing dialogue about their health, using digital routes and data to support and encourage changes in behaviour; thereby enabling the people to take greater control and responsibility for their wellbeing and enabling them to make healthier choices. Fundamental to predictive prevention is the consideration of the individual as a whole, not by body system or disease. Instead, insights from clinical evidence, behavioural and service design are used to create “digital micro-personas”, which are mappings of co-morbidities and multiple risk factors, and the wider determining factors that influence them. A series of initiatives is being deployed in the first quarter of 2019. These will complement existing more traditional population based public health offerings, and they are notable in terms of the scale of execution, which is either in a metropolitan area around a city or in places where there are very significant and hard to shift inequalities in both access and health outcomes. One of the initiatives is specifically testing the potential for using gamification and the effect personalised incentives have upon outcomes and sustainability of healthy behaviors. At the heart of all this is strict adherence to general data protection regulation (GDPR), data privacy and regulatory compliance. Data is only being collected with full and transparent consent by citizens and when used, the information from which risks are inferred is suitably anonymised. Building on these insights, digital technologies are monitoring behavioural risk factors and providing personalised interventions to keep people healthy, productive and resilient. The aim is to try to ensure they utilise the health and care systems less frequently. In cases where people have no contact with the health and care systems, the aspiration is to delay or reduce utilisation for non-communicable diseases like type 2 Diabetes, and Cardiovascular disease. As part of these offerings, Public Health England are implementing a series of digital products to keep people moving more, eating smarter and living healthier. These interventions are guided by evidence on behaviours and risks factors that are proven to work with digital platforms and include the capacity to direct people to online and community-based face-to-face services. The full blog will be published in upcoming issue of the HIMSS Insights global eBook, which will be released at the HIMSS19 conference. Charles Alessi is the Chief Clinical Officer for HIMSS International and Senior Advisor for Public Health England. HIMSS is the parent company of Healthcare IT News.